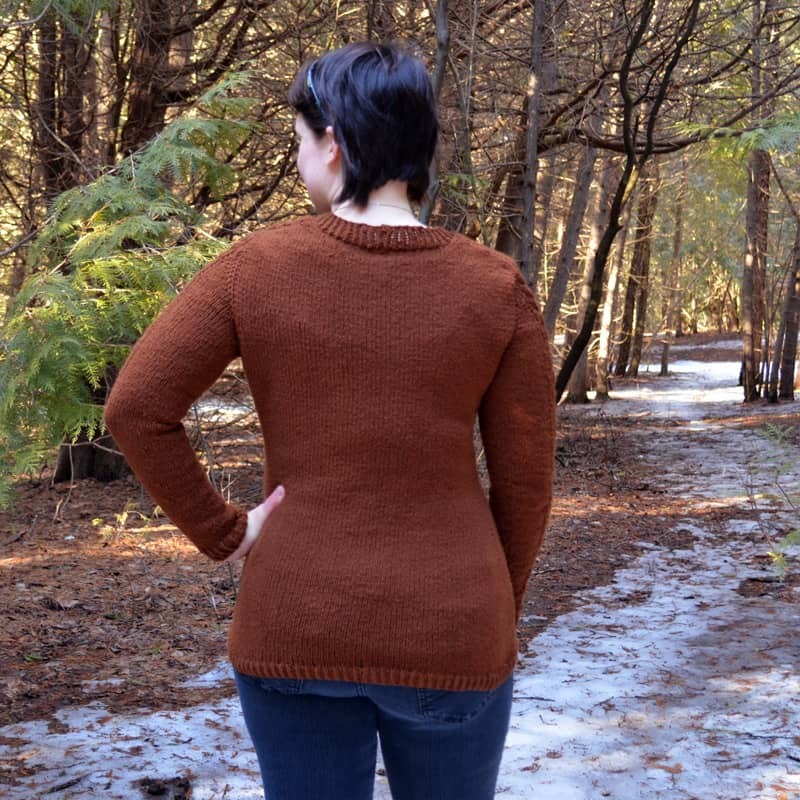 Textured trails beckon your stitches to amble around your curves in Woodsong Camber. Wander through the woods to an unexpected cutback branching onto a mountain trail reflective of the diagonal perpendicular design element. 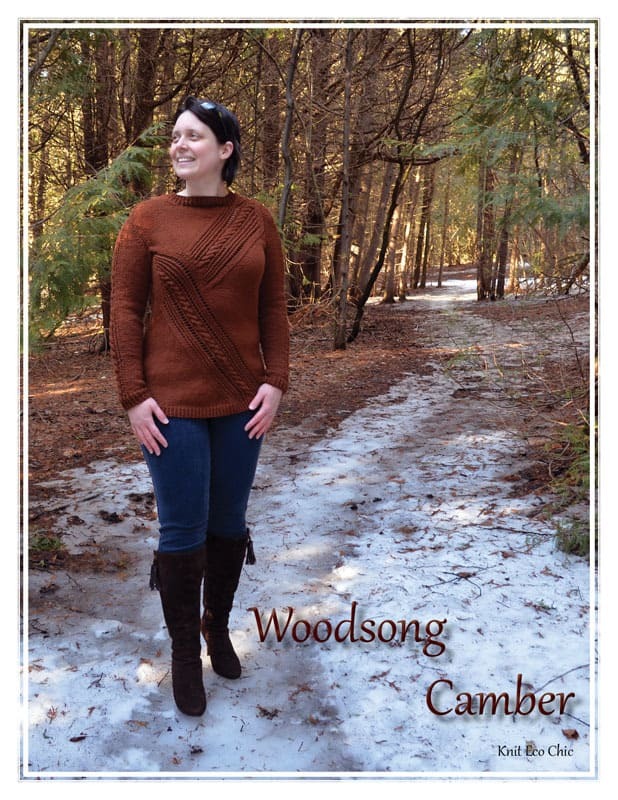 Woodsong Camber – a frequent choice for crisp Fall days on the trails when colorful leaves glisten in the sun or for long awaited snowy weather romps with loved ones. 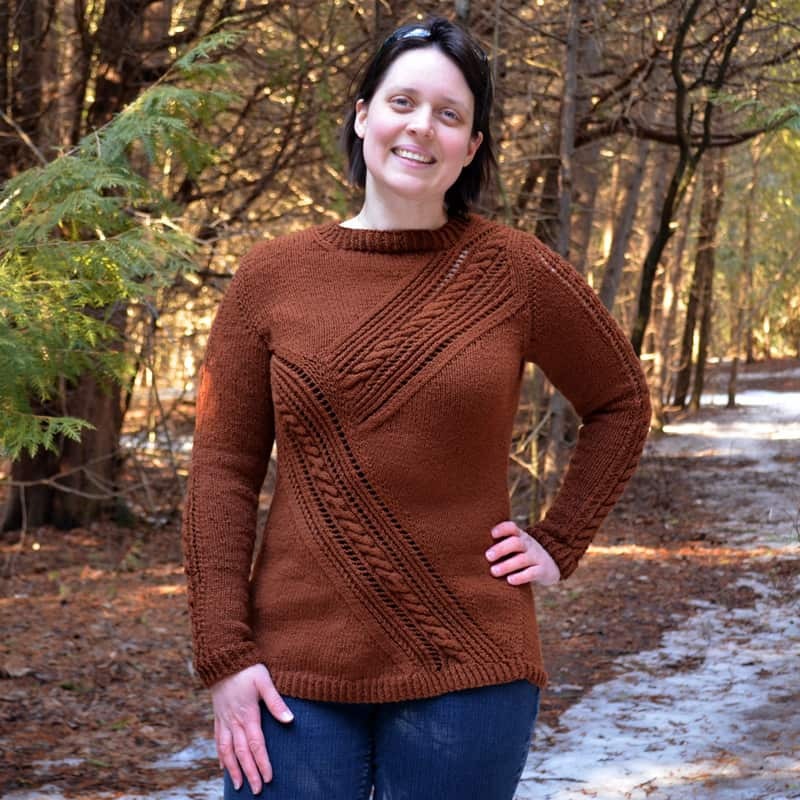 The tech edited and test knit intermediate + level pattern is fully written with the pattern repeats charted. The transition between the lower detail and upper detail is charted row by row by individual size. 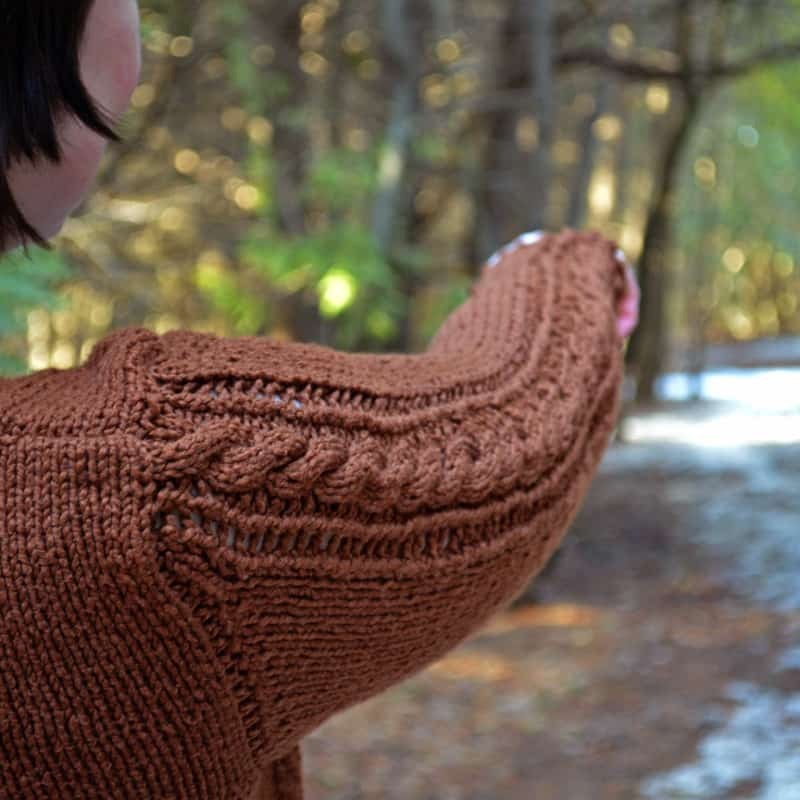 The pattern also comes with a cheat sheet for each size. 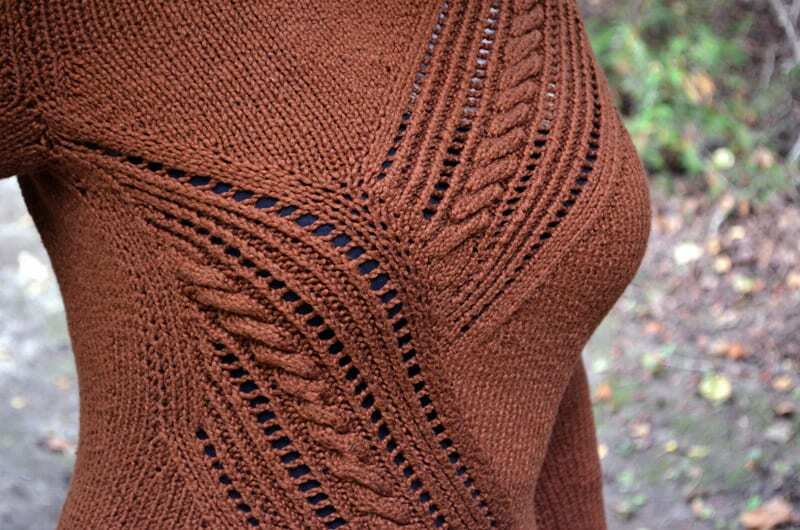 A blocking schematic rounds out the pattern aids.